With SICO® Harmony Choral Stage Risers, you just roll each self-contained 3- or 4-step unit into place, lower the steps with one fluid motion to the floor, lock it to the next unit, and it's showtime! When in use, each unit rests on 10-12 solid points of contact, so the risers remain solid and quiet. Each step is fully carpeted and positioned to keep heels from slipping off the back edge. 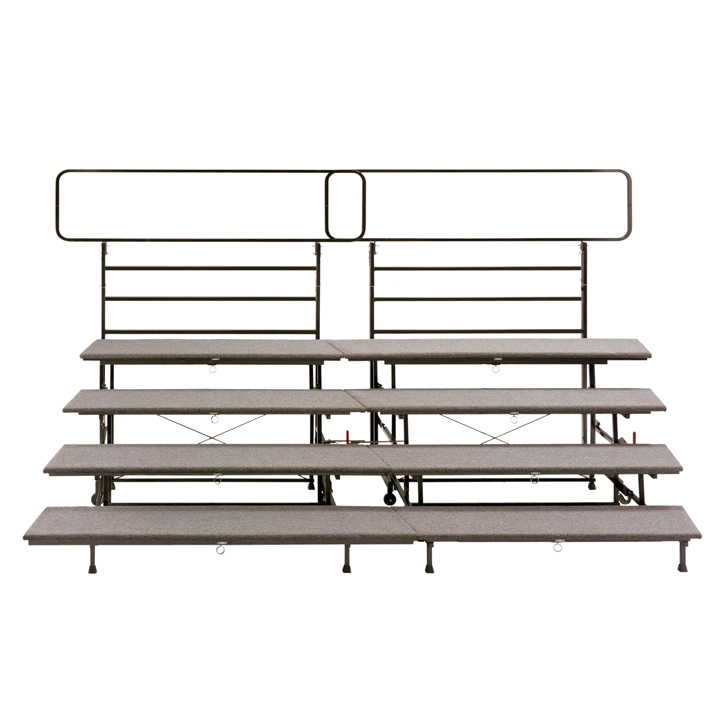 Our standing Harmony Choral Stage Risers offer easy transport and quick configuration changes in very cost-efficient packages. Each 3- or 4-tier unit is fully self-contained, rolls into place, folds down and locks onto adjoining units. 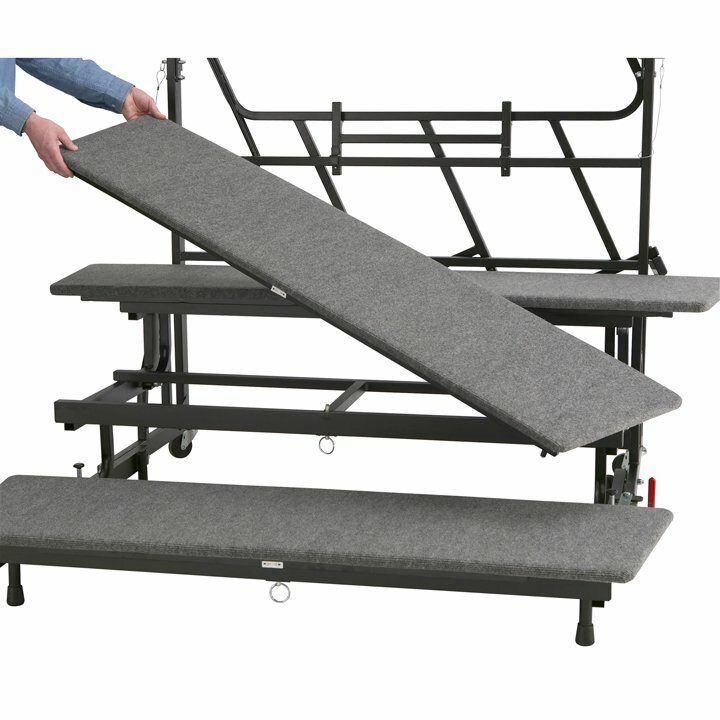 Plus, a standard rear guard rail folds down for transport and storage and prevents unwanted opening when not in use. 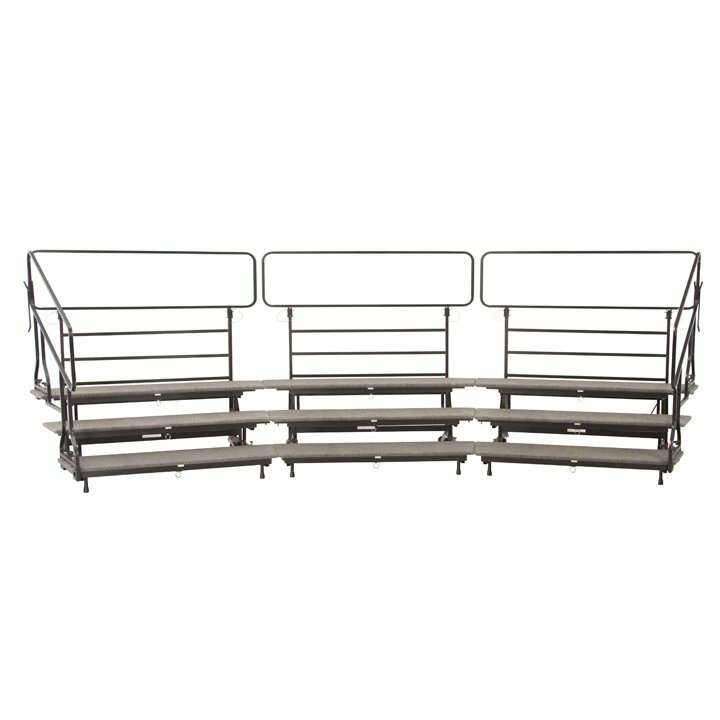 All SICO® Choral Risers come with an attached back-rail for added security, at no extra charge. 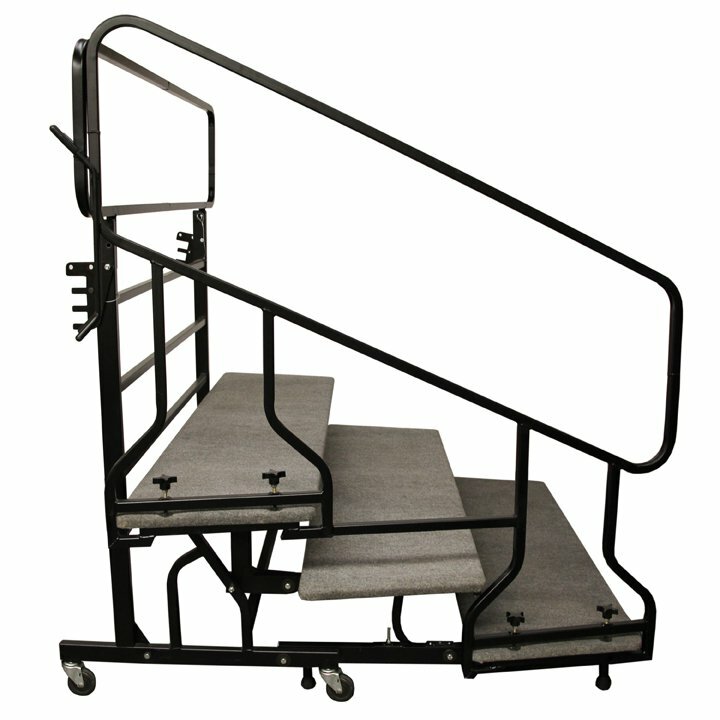 This vital feature also folds down over the unit to keep steps secure in the transport position. 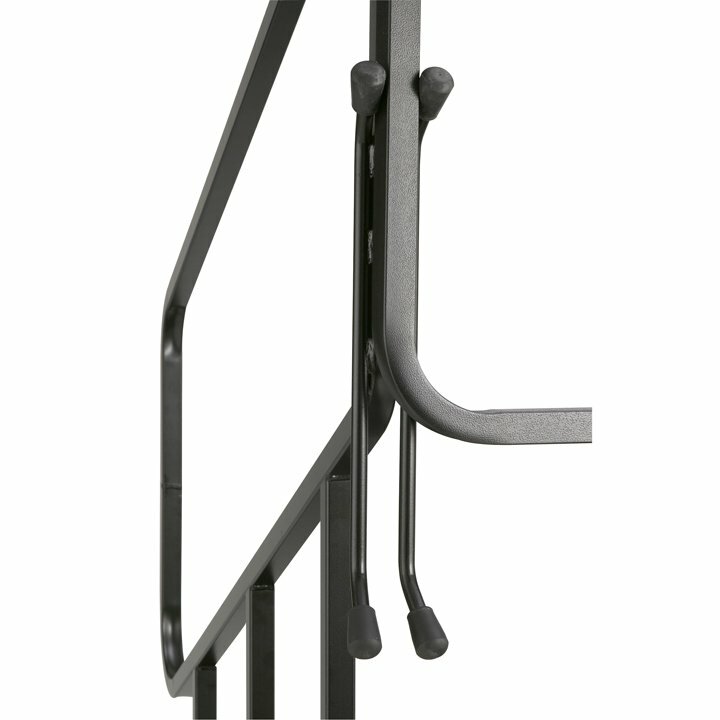 We also highly recommend our new side-rail system for extra safety, and increased peace of mind. 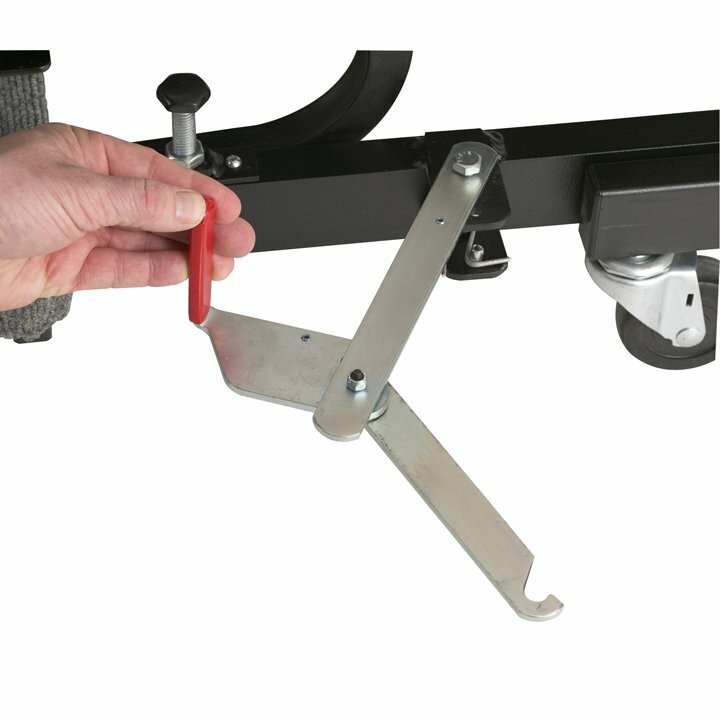 These innovative risers have a quick reverse-step system that makes it easy to change your riser configuration from the traditional semi-circular arrangement to straight or other interesting combinations—without tools! Use this feature to build unique configurations for show-choir, or double-choir concerts. 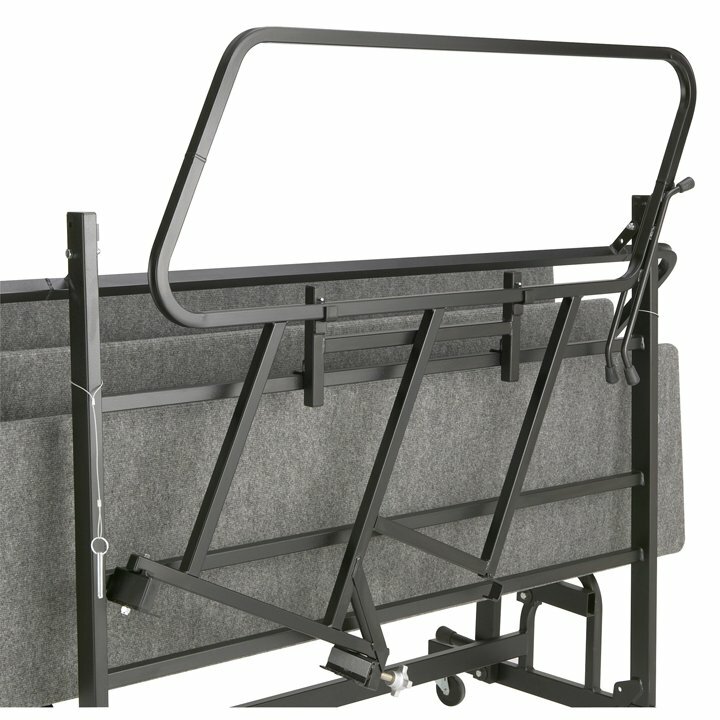 The 3-tier riser takes up less depth and its top riser is only 24" (60.9 cm) high, making it a safe, smart choice for small- or medium-sized groups, or for young children. 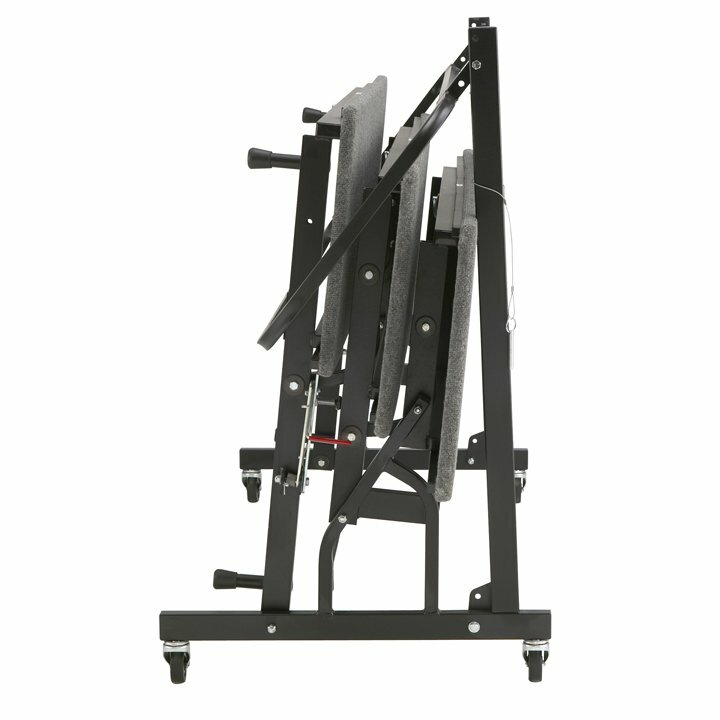 When you have a larger group, or are setting up risers in a confined area, the 4-step unit features a top tier at 32" (81.3 cm) — increasing your overall capacity. Approximately 12 students per riser section standing shoulder to shoulder. Approximately 16 students per riser section standing with shoulders turned in. Approximately 16 students per section standing shoulder to shoulder. Approximately 20 students per section standing with shoulders turned in. *Capacities based upon average size high school performers with one row on floor.